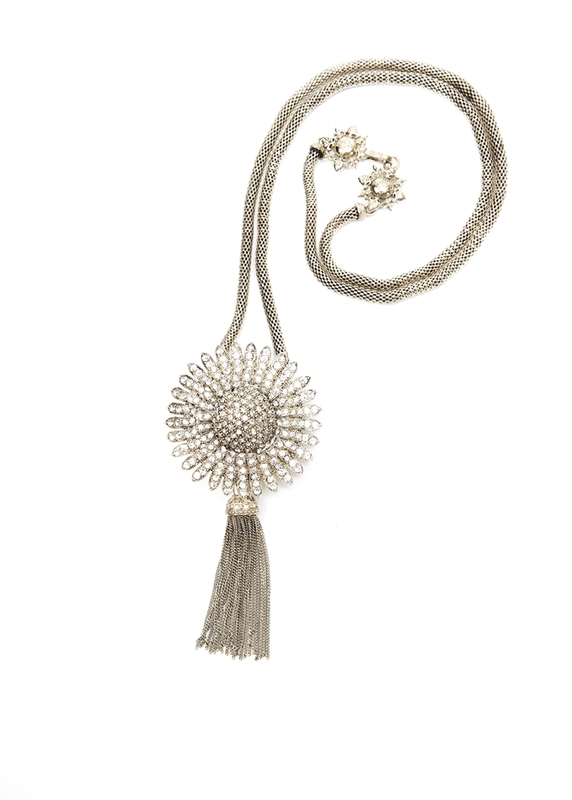 This necklace is a burst of sunshine with clear crystals set into brass with an antique finish. 32"in length. Tassel and chain are removable.